Amos Nathan Tversky (Hebrew: עמוס טברסקי; March 16, 1937 - June 2, 1996) was a cognitive and mathematical psychologist, and a pioneer of cognitive science. A longtime collaborator of Nobel laureate Daniel Kahneman, he was a key figure in the discovery of systematic human cognitive bias and handling of risk. Tversky was an astute observer of human behavior, recognizing that although people are good at creating hypotheses about events, particularly the likelihood of an event's occurrence, by and large they are less effective when it comes to testing their hypotheses. The result is that people do not behave rationally, although they use reasoning to make decisions, since their reasoning is often clouded by emotion or by incorrect understanding of mathematical probabilities. His work had significant impact on fields beyond psychology, such as economics and law. Amos Tversky's untimely death cut short a life that held promise of much more both in his personal relationships with family, friends, and colleagues, and his contributions to the advance of human understanding. Amos Tversky was born in Haifa, Israel, on March 16, 1937. His parents were immigrants to Israel from Poland and Russia. His father, Yosef Tversky, was a veterinarian and his mother, Genia, was a member of the Knesset from its establishment in 1948 until her death in 1964. At age 19, Tversky saved the life of a fellow soldier during a border skirmish, throwing him to safety before an explosive charge blew up. For this act of personal bravery, he was awarded Israel's highest military honor. Tversky served as an officer in the paratroopers, an elite unit, rising to the rank of captain and serving in three wars. Tversky earned a bachelor's degree from Hebrew University in 1961 and his doctorate in 1965 from the University of Michigan. There, he met and married a fellow student in cognitive psychology, Barbara, who also became a professor of cognitive psychology at Stanford. They had two sons, Oren and Tal, and a daughter, Donna. Tversky taught at Michigan, Harvard, and Hebrew University, before moving to Stanford as a fellow at the Center for Advanced Study in the Behavioral Sciences in 1970. He remained connected to Israel, affiliated with Tel Aviv University, where he taught economics and psychology as a visiting professor. He joined the Stanford psychology faculty in 1978, where he stayed until his death less than two decades later. Tversky received many awards and honors for his ground-breaking research. He was elected to the American Academy of Arts and Sciences in 1980 and as a foreign associate of the National Academy of Sciences in 1985. He won the American Psychological Association's award for distinguished scientific contribution in 1982. He also was awarded honorary doctorates by the University of Chicago, Yale University, the University of Goteborg (Sweden), and the State University of New York at Buffalo. When he won a five-year MacArthur Foundation fellowship in 1984, Tversky said with typical modesty that much of what he had studied was already known to "advertisers and used car salesmen." His modeling, however, elucidated the theoretical basis for such phenomena as consumers becoming upset if a store charged a "surcharge" for using a credit card but being pleased if a store offered a "discount" for paying with cash. Amos Tversky died in 1996 from metastatic melanoma, cutting short a life that held promise of much more both in his personal relationships with family, friends, and colleagues, and his contributions to the advance of human understanding. Daniel Kahneman, Tversky's longtime friend and colleague. Tversky's professional ideas and contributions revolutionized not only his own field of cognitive psychology (Tversky 1970), but that of economics as well. Much of his early work concerned the foundations of measurement. He was co-author of a three-volume treatise, Foundations of Measurement (Tversky et al 1971, 1989, 1990). His early work with Daniel Kahneman focused on the psychology of prediction and probability judgment. Later, he and Kahneman originated prospect theory to explain irrational human economic choices. Tversky also collaborated with Thomas Gilovich, Paul Slovic, and Richard Thaler on several key papers. Two noteworthy points emerge from review and analysis of his work: First, Tversky's work stresses the importance of reason-based choice, whereby individuals actively seek to generate, understand, and justify their decisions. Second, Tversky's work suggests that people do not act as if they were the value-maximizers they are purported to be by more rationally based theories. Rather, individuals function as problem-solvers who creatively construct their choices and resolve complex problems which require trade-offs between values and goals. In this way, preferences are created, rather than elicited, within the process and context of choice itself (McDermott 2001). Tversky's early work on judgment began in Israel with another Israeli-born psychologist, Daniel Kahneman, who became his close friend and long-time collaborator. They detailed 11 "cognitive illusions," or biasing characteristics of human judgment, and proposed systematic explanations for them (Tversky and Kahneman 1974). This publication triggered a "cascade of related research," as Science News wrote in a 1994 article on reasoning, their work being cited by decision theorists in economics, business, philosophy, and medicine as well as psychologists cited their work. Tversky was an astute observer of how people made decisions and recognized that generally they did not correctly compute probabilities but rather used heuristics. In psychology, heuristics are simple, efficient rules of thumb that people use to make decisions, typically when facing complex problems or incomplete information (Tversky 1972). These rules work well under most circumstances, but in certain cases lead to systematic cognitive biases. For instance, people may tend to perceive more expensive beers as tasting better than inexpensive ones. This finding holds even when prices and brands are switched; putting the high price on the cheaper brand is enough to lead experimental subjects to perceive that beer as tasting better than the beer that is normally relatively expensive. This is known as the "price infers quality" bias. Linda is 31 years old, single, outspoken, and very bright. She majored in philosophy. As a student, she was deeply concerned with issues of discrimination and social justice, and also participated in antinuclear demonstrations. Based on probability theory, statement (1) is more probable than statement (2), because statement (2) involves a conjunction of two statements. However, participants almost always (86 percent) ranked (2) over (1), indicating that they thought it was more probable. This is the so-called "conjunction fallacy." The standard explanation is that given her description, Linda is more representative of feminist bank tellers than bank tellers in general. When people refer to the conjunction fallacy, or the Kahneman and Tversky experiment, they often call it the "Feminist Bank teller problem/experiment." Tversky and his co-authors (Tversky et al. 1985) investigated the common misperception among basketball fans and players alike, that players tend to get "hot," that is, they sometimes shoot a string of goals that is markedly longer than would be predicted on the basis of their overall shooting percentage. Interviews with players revealed that they regularly passed the ball to a teammate who had made a series of consecutive shots so that he could shoot again, believing that he was on a "hot" streak. Analyzing the data for individual members of the 1980-1981 Philadelphia 76ers (including the famous "hot streak" player Andrew Toney), Tversky found no statistical evidence of this "hot hand" phenomenon. Tversky and his colleagues also examined data from the Boston Celtics during the 1980-1981 and 1981-1982 seasons. The data failed to show that any of their players showed a tendency to have the success of their first shot affect the success of a subsequent shot (McDermott 2001). In this case, Tversky explained that fans and players are merely observing the standard laws of chance in action, but in the context of their misconception of how the random distributions work. People expect the outcomes of a process determined by chance, such as a coin toss with its 50 percent distribution of heads, to apply to each and every segment of the process. Thus, while it is not uncommon to observe four heads in a row out of 20 flips of the coin, observers assess such a result as non-random (a "hot streak"), since they expect to see each new toss produce the opposite outcome so that the 50 percent distribution is maintained in every pair of tosses. In fact, the laws of chance state that this is an unlikely outcome, and that a string of several heads (or making four successful shots in basketball) is more likely than a strictly alternating sequence (McDermott 2001). Tversky called the studies on how people manage risk and uncertainty he carried out with Kahneman (Tversky and Kahneman 1979) "Prospect theory" for no other reason than that it is a catchy, attention-getting name. Their paper presenting the theory was published in Econometrica, not a psychological journal, because that was where the best papers on decision making were being published at the time. This choice led to its becoming highly significant in economics (Kahneman 2002). It is especially applicable to financial economics, the branch of economics concerned with the workings of financial markets, such as the stock market, and the financing of companies, addressing questions framed in terms of factors such as time, uncertainty, options, and information. Tversky started their research investigating apparent anomalies and contradictions in human behavior. Subjects when offered a choice formulated in one way might display risk-aversion but when offered essentially the same choice formulated in a different way might display risk-seeking behavior. For example, people may drive across town to save $5 on a $15 calculator but not drive across town to save $5 on a $125 coat (Bernstein 1996). One very important result of Tversky and Kahneman's work is the demonstration that people's attitudes toward risks concerning gains may be quite different from their attitudes toward risks concerning losses. For example, when given a choice between receiving $1000 with certainty or having a 50 percent chance of receiving $2500, people may choose the certain $1000 over the uncertain chance of $2500, even though the mathematical expectation of the uncertain option is $1250. This is a perfectly reasonable attitude that is described as "risk-aversion." However, Kahneman and Tversky found that the same people when confronted with a certain loss of $1000 versus a 50 percent chance of no loss or a $2500 loss often chose the risky alternative. This is called "risk-seeking" behavior. Their conclusion was not that people's behavior is irrational but rather that it is important for analysts to recognize the asymmetry of human choices under different conditions (Bernstein 1996). The broad applicability of Prospect theory can be seen in a study by Peter Bernstein (1996). He reported some interesting results regarding estimates (in this case by 120 Stanford graduates) of the probability of dying from various causes. The above table represents the probability estimate of one group in the study. Another group was not asked to estimate the probabilities for separate causes but only the probability of death by natural versus unnatural causes. The probability estimate of a natural death by this second group was 0.58, significantly lower than when the subjects considered each cause separately. The second group's estimate of an unnatural death was 0.32, again significantly lower than for the first group. The most notable aspect of the estimates is that the subjects significantly underestimated the probabilities for natural causes and vastly overestimated the probabilities for unnatural causes. This suggests that people pay more attention to worrying about the unnatural dangers and not enough to the natural dangers (Bernstein 1996). Tversky and Fox (1995) addressed ambiguity aversion, the idea that people do not like ambiguous gambles or choices with ambiguity, within the framework of "comparative ignorance." Their idea was that people are only averse to ambiguity when their attention is specifically brought to the ambiguity by comparing an ambiguous option to an unambiguous option. For instance, people are willing to bet more on choosing a correct colored ball from an urn containing equal proportions of black and red balls than an urn with unknown proportions of balls when evaluating both of these urns at the same time. However, when evaluating them separately, people were willing to bet approximately the same amount on either urn. Thus, when it is possible to compare the ambiguous gamble to an unambiguous gamble people are averse, but not when ignorant of this comparison. Another common mistake in reasoning that Tversky discovered is the tendency to assess the frequency of a given event based on how easy it is to think of examples of that event. Most people will estimate that there are more English words that begin with the letter k than those whose third letter is k—even though the opposite is true—simply because it is easier to think of examples of the former (Brest 2006). All human behavior can be viewed as involving participants who … maximize their utility from a stable set of preferences and accumulate an optimal amount of information and other inputs in a variety of markets (Becker 1998, 3-4). The Coase Theorem, which predicts how economically rational individuals will behave in free markets, is particularly important to legal rules and procedures. It asserts that, in the absence of transaction costs, no matter on whom the costs or liabilities of engaging in an activity are imposed, the parties will bargain to achieve the socially optimal level of that activity (Brest 2006). Some, such as Herbert Simon, acknowledged that the choices made by individuals cannot in actuality be predicted based on rationality, but rather their choices should be described as "boundedly rational." However, if human beings were thought of as only "boundedly rational," the bounds were not very constraining and, more importantly, they did not bias decisions in any systematically predictable manner. The hypothesis of rational behavior has been central to economics, though always held with some discomfort … Previous criticism of economic postulates by psychologists had always been brushed off by economists, who argued, with some justice, that the psychologists did not understand the hypotheses they criticized. No such defense was possible against Amos' work. (Stanford University News Service 1996). Although their "behavioral law and economics" has not replaced the neoclassical tradition—and indeed has been strongly resisted by the neoclassicists—it has nevertheless been applied to virtually every area of the law, both to explain behavior and prescribe normative substantive and procedural rules (Brest 2006). There are only two taxi companies in town, "Blue Cabs" and "Green Cabs." On the night in question, 85 percent of all taxis on the road were green and 15 percent were blue. The witness has undergone an extensive vision test under conditions similar to those on the night in question, and has demonstrated that he can successfully distinguish a blue taxi from a green taxi 80 percent of the time. Tversky and Kahneman found that typical subjects, faced with the eye-witness account from an individual who has demonstrated that he is right four times out of five, were inclined to declare that the pedestrian was indeed hit by a blue taxi, and said that damages should be assigned against the Blue Taxi Company. They stated that the probability of the witness being correct was 80 percent. However, in actuality the situation is quite different. In fact, the pedestrian was more likely to have been hit by a green taxi than a blue one. The error most people make is to ignore the fact that a taxi is more likely to be green than blue—known as the "prior probability"—in this case there is only a 15 percent chance that the taxi was blue. When the witness then testified that the color was blue, that evidence increased the odds from the 15 percent prior probability figure. The reliability figure for the witness's evidence (80 percent) must be combined with the prior probability to give the real probability. The exact mathematical manner in which this combination is done is known as Bayes' law, which results in probability of 41 percent that the taxi was blue (Devlin 1997). Such lack of understanding of how probabilities are combined in the majority of the public has significant ramifications for justice using the system of trial by a jury of one's peers. Amos Tversky, a cognitive psychologist, was a dominant figure in decision research and a leading theorist who seriously challenged economic theory by showing that people frequently do not behave rationally to maximize their welfare. Tversky's role in reshaping the cognitive sciences was in convincing economists to pay attention to what people actually do instead of what they would do if they behaved rationally. His work on the limits of human rationality also had a major impact on philosophy, statistics, political science, law, and medicine. It's what I do for a living: If you look at people as intuitive scientists, you find that we are very good at pattern generation, we are very good at generating hypotheses. It's just that we are not very good at all at testing hypotheses (Kolata 1996). Tversky's and Kahneman's work on "framing," the idea that small differences in how data are presented to people have a substantial effect on their decisions, has influenced the way doctors view informed consent from patients for medical procedures. Their studies showed that people will be more optimistic or pessimistic about a procedure, depending upon which way the information is presented to them. For example, a doctor can describe a medical procedure as having a 90 percent chance of success, or a ten percent chance that they will die. "At a time when medical technology has advanced and patients are being asked to make more decisions about medical options, this is even more important than it was in 1980" when the research was carried out. (Stanford University News Service 1996). Tversky's work led to purely cognitive explanations being supplemented by those that focus on affect. Cass Sunstein, a professor of law at Chicago, coined the term "probability neglect" to describe how when contemplating risks to which great emotion is attached, people tend to greatly overweight probabilities or to ignore them altogether and focus only on the worst-case outcome. Affect has also come to play an increasingly important role in behavioral economics. Although this was not the major focus of Amos Tversky's work, the lines of thought certainly trace back to him, for example through the pioneering work in this area of his collaborator Paul Slovic (Brest 2006). Daniel Kahneman received the Nobel Prize in 2002 for the work he did in collaboration with Amos Tversky, who would have no doubt shared in the prize had he been alive. 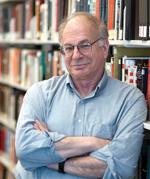 Kahneman actually devoted substantial part of his acceptance speech to Tversky expressing regret that his longtime collaborator Amos Tversky was not able to share the distinction with him (Kahneman 2002). Tversky, Amos, C. H. Coombs, and Robyn Dawes. 1970. Mathematical psychology: An elementary Introduction. Englewood Cliffs, NJ: Prentice-Hall. Tversky, Amos, and Daniel Kahneman. 1974. Judgment under uncertainty: Heuristics and biases. Science 185(4157): 1124-1131. Tversky, Amos, and Daniel Kahneman. 1981. The framing of decisions and the psychology of choice. Science 211: 453-58. Tversky, Amos, T. Gilovich, and R. Vallone. 1985. The hot hand in basketball: On the misperception of random sequences. Cognitive Psychology 17: 295-314. Becker, Gary. 1998. The Economic Approach to Human Behavior. Chicago, IL: University of Chicago Press. ISBN 0226041123. Bernstein, Peter. 1996. Against the Gods: The Remarkable Story of Risk. New York, NY: John Wiley & Sons. ISBN 0471295639. Brest, Paul. 2006. Amos Tversky's contributions to legal scholarship. Judgment and Decision Making 1(2) (November): 174-178. Devlin, Keith. 1997. Goodbye Descartes: The End of Logic and the Search for a New Cosmology of Mind. New York, NY: John Wiley and Sons. ISBN 0471251860. Kahneman, Daniel, and Amos Tversky. 1972. Subjective probability: A judgment of representativeness. Cognitive Psychology 3: 430-454. Kahneman, Daniel. 2002. Autobiography.. Les Prix Nobel: The Nobel Prizes 2002. Tore Frängsmyr (ed.). Stockholm, Sweden: Nobel Foundation. Retrieved February 25, 2009. Kolata, Gina. 1996. Could It Be? Weather Has Nothing To Do With Your Arthritis Pain?. The New York Times, April 3, 1996. Retrieved February 25, 2009. Lowenstein, Roger. 1996a. Outsider who challenged dismal science. Wall Street Journal, June 6, 1996. Lowenstein, Roger. 1996b. Sure, markets are rational, just like life. Wall Street Journal, June 13, 1996. McDermott, Rose. 2001. The psychological ideas of Amos Tversky and their relevance for political science. Journal of Theoretical Politics 13(1): 5-33. Simon, Herbert A. 1955. Behavioral model of rational choice. The Quarterly Journal of Economics 69(1): 99-118. Stanford University News Service. 1996. Amos Tversky, leading decision researcher, dies at 59. Retrieved February 25, 2009. Tversky, Amos, D. H. Krantz, R. D. Luce, and P. Suppes. 2006. Foundations of Measurement, Volume 1: Additive and Polynomial Representations. New York, NY: Dover Publications. ISBN 0486453146. Tversky, Amos, and Daniel Kahneman. 1972. Subjective probability: A judgment of representativeness. Cognitive Psychology 3:430–454. Tversky, Amos, and D. Kahneman. 1980. Causal Schemata in Judgments Under Uncertainty. In Martin Fishbein (ed. ), Progress in Social Psychology, Vol. 1. Hillsdale, NJ: Erlbaum, 49-72. ISBN 0898590051. Tversky, Amos, and Daniel Kahneman. 1983. Extension versus intuititve reasoning: The conjunction fallacy in probability judgment. Psychological Review 90: 293-315. Tversky, Amos, D. H. Krantz, R. D. Luce, and P. Suppes. 2006. Foundations of Measurement, Volume 2: Geometrical, Threshold and Probabilistic Representations. New York, NY: Dover Publications. ISBN 0486453154. Tversky, Amos, D. H. Krantz, R. D. Luce, and P. Suppes. 2006. Foundations of measurement, Volume 3: Representation, Axiomatisation and Invariance. New York, NY: Dover Publications. ISBN 0486453162. Tversky, Amos, and Craig R. Fox. 1995. Ambiguity aversion and comparative ignorance. Quarterly Economic Journal 110: 585-603. All links retrieved March 16, 2016. The man who wasn't there. Boston Globe. This page was last modified on 16 March 2016, at 16:51.